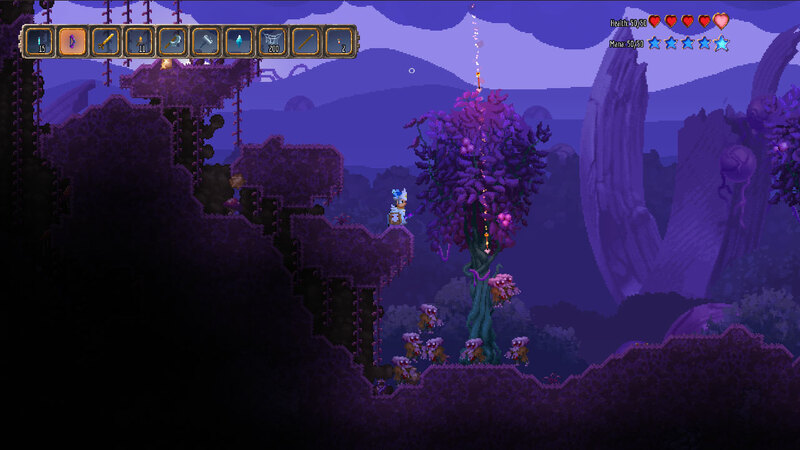 Terraria fans got a late Valentine's Day present today when developer Re-Logic announced Terraria: Otherworld, an open-world spinoff to the 2011 indie hit. According to the Terraria Forums, Re-Logic is currently working on the PC and Mac versions, but the PlayStation 4 and Xbox One editions are being considered. However, since the game is only in the alpha-testing phase, it's probably too early to think about expansion. Re-Logic teased Otherworld back in November with a 20-second-long video. The clip contained very little information but sparked speculation about a possible sequel. However, today's announcement sounds like more of a spinoff. This morning, the Terraria forums erupted with exclamation points, smiley-faced emoticons, and a lot of questions. 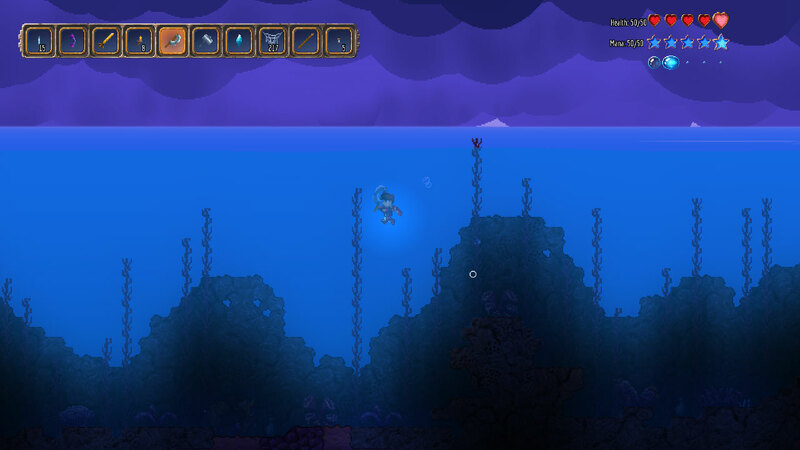 Some of the users specifically asked if this was Terraria 2, but lead developer Whitney "Cenx" Baird denied it. Here's a screen capture. Notice how she uses all capital letters to spell out the word NOT. That means she's extra serious. Terraria, for the uninitiated, is a sandbox-style platformer for people who love Minecraft but think it has too many dimensions. It's a sprite-based, 2D adventure with all the lovability of its three-dimensional cousin, but it's more focused. Compared to Minecraft, Terraria stressed combat above crafting, and it sounds like Otherworld is expanding on this philosophy. According to Re-Logic, the game is set in an "alternate dimension within the Terraria universe" that's been "overrun by a malevolent force." 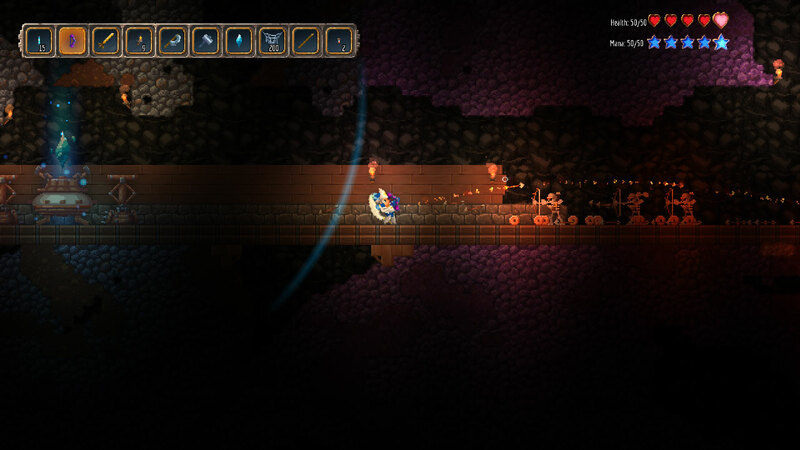 Terraria: Otherworld looks darker than its predecessor and will emphasize role-playing and strategy elements. When Terraria was released in 2011, it was the most popular game on Steam for six days, beating out titles like Witcher 2 and Portal 2. And over the last few years, it's managed to make its way onto every major platform on market (sorry, Ouya). We don't know much about Otherworld at this time. But judging from the press release, it sounds like Re-Logic is creating a Terraria-Starbound mashup, which is perfectly fine with me.